Epson, a leading professional printing solutions provider, has launched the new SureColor SC-B9070 signage printer. 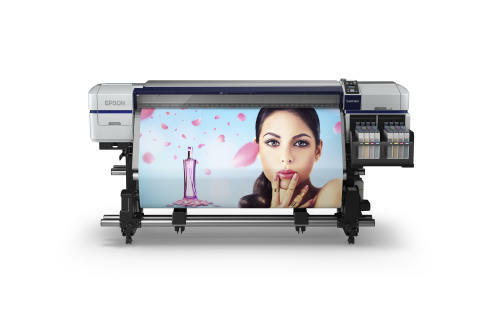 A high performance dye-based production signage printer, the SC-B9070 is Epson’s fastest B-series signage printer and is ideal for use for high-volume and short term indoor signage installations for retail and advertising. With its dual PrecisionCore Thin Film Piezo printheads, the new SC-B9070 signage printer delivers high speed printing and increased productivity to businesses, printing at a maximum speed of up to 100sqm per hour. The PrecisionCore TFP printhead nozzles enable multi-size dot control for precision printing for high-volume printing applications, delivering outstanding print quality. The SC-B9070 signage printer comes with large 1.5L capacity ink tanks, which reduces the frequency of ink refills while enabling high-volume printing for increased efficiency. The high-volume ink tank system helps to lower total costs of ownership for greater cost savings to customers. “The new SC-B9070 is a rich dye-based production signage printer that delivers high quality prints, bringing enhanced business value to customers looking to boost their productivity and efficiency. We are confident this product will meet the high demands of our customers to deliver high volume output in the outstanding quality that they expect,” said Ms. Tan May Lin, General Manager, Sales, Marketing and Customer Service Division, Epson Singapore. The SC-B9070 printer comes with advanced image processing technology, Epson’s Precision Dot Technology, that delivers high quality precision printing – Epson’s Half Tone Module, Look Up Table (LUT) and Micro Weave technologies that help to reduce graininess and banding and ensure smooth colour gradation for brilliant colours and exceptional quality prints. The SC-B9070 printer’s precise media feeding system ensures continued stable printing for high reliability and minimum downtime. The Advanced Auto Tension Control (AD-ATC) feature and an automatic initial skew correction ensure smooth media feeding and minimal errors for high volume production. The after heater of the printer improves ink drying performance, reducing risk of wet ink transferred to the roll. 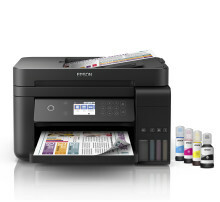 The printer comes with Epson Edge Print, a dedicated RIP software with a flexible and user-friendly interface for enhanced workflow, for image editing and colour management. It comes with the Epson Control Dashboard software that enables control of up to 4 printers, providing remote maintenance, real-time monitoring of consumables and other updates.